Product prices and availability are accurate as of 2019-04-02 15:59:08 EDT and are subject to change. Any price and availability information displayed on http://www.amazon.com/ at the time of purchase will apply to the purchase of this product. 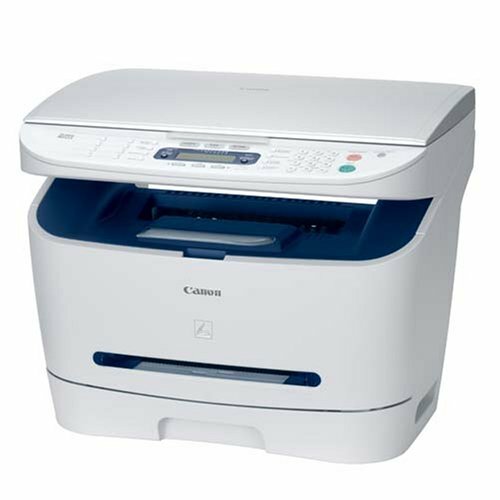 The Canon imageCLASS MF3240 Laser Multifunction Printer is an affordable and efficient multi-function unit that will help increase the productivity of most any business. 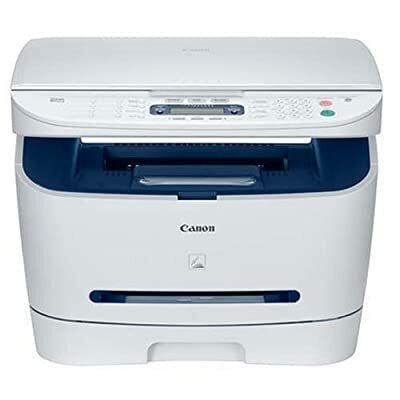 This compact unit occupies the same area as a stand-alone printer, but is actually a laser printer, copier, color scanner and fax all-in-one. There's no need to spend time and money researching and purchasing several individual machines; the MF3240 offers everything you need to keep your office running smoothly. Plus, its stylish appearance will complement any home or office space. This multi-purpose, single-cartridge system generates fast, high-quality laser documents. The MF3240 can also quickly send and receive faxes using the built-in 33.6 Kbps super G3 fax modem. The USB 2.0 hi-speed interface and optional external print server ensure speed and versatility. For added productivity, the MF3240 is equipped with color scanning and scanning software. The MF3240 offers an extremely fast black print speed of up to 21 pages per minute. The black print resolution is 600 x 600 dpi, which means all your documents will be sharp and clear. Plus, the output tray has a 250-sheet capacity, so you won't have to continually re-supply the paper. The copier is equally fast and reliable, delivering up to 21 copies per minute. For sharp, readable copies, the system offers 600 x 600 dpi. You'll also never have to compromise when it comes to getting documents that meet your specifications, because this copier lets you zoom in one percent increments between 50 and 200 percent and enlarge to 50, 64, 78, 129, and 200 percent. The scanner also features time-saving options to make your workday run smoothly. Accepting originals up to 8.5 x 11.7 inches on the plate glass, you can transfer hardcopy documents into editable text on the PC using ScanSoft OmniPage SE Optical Character Recognition (OCR) software, or file systematically with NewSoft and Presto! Page-Manager. Either way, your scans will be achieved with optical resolution of up to 600 x 600 dpi, and an enhanced resolution of up to 9600 x 9600 dpi. The color depth of up to 24-bit internal/24-bit output helps ensure scans are faithful to original documents. The dual access fax with remote RX features eight one-touch speed dials, as well as 100 coded dials, so faxing is always quick and convenient. To ensure optimum productivity, the fax features a modem speed of up to 33.6 Kbps and a transmission reception memory of up to 256 pages. It can easily scan documents up to 8.5 x 11.7 inches, which allows for a wide variety of scanning possibilities. The MF3240 comes with a one year limited warranty and exchange program.